Do you have a favorite food truck? 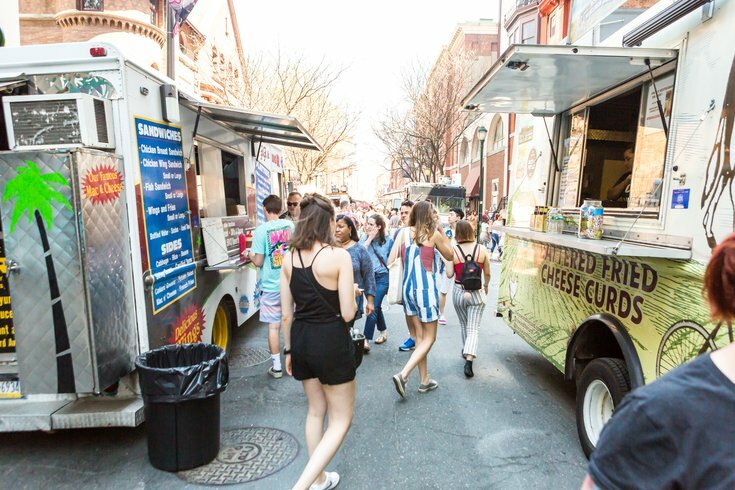 The Food Trust announced which neighborhoods the Night Market will visit this season. The traveling street food festival, now in its ninth season, will head to three new neighborhoods and return to a favorite from last year. At each Night Market, the streets will be closed off to traffic and filled with food trucks and mobile vendors, pop-up beer gardens and live music. Each Night Market will take place on a Thursday evening, from 6 p.m. to 10 p.m. Kicking off the 2019 season is El Centro de Oro ("The Golden Block"), an area filled with vibrant Latino culture. Overbrook and Fairmount Avenue are also new areas for Night Market to visit. Six years ago, Night Market traveled to Fairmount Avenue but this time it will venture further east, close to the Divine Lorraine and The Met. To close out the season, Night Market will visit Point Breeze. Last year's Night Market in the neighborhood was the most well-attended of 2018.